I’ve attended many DJ conferences in my life and the discussion of what is “cheesy” and what isn’t is often bandied about. 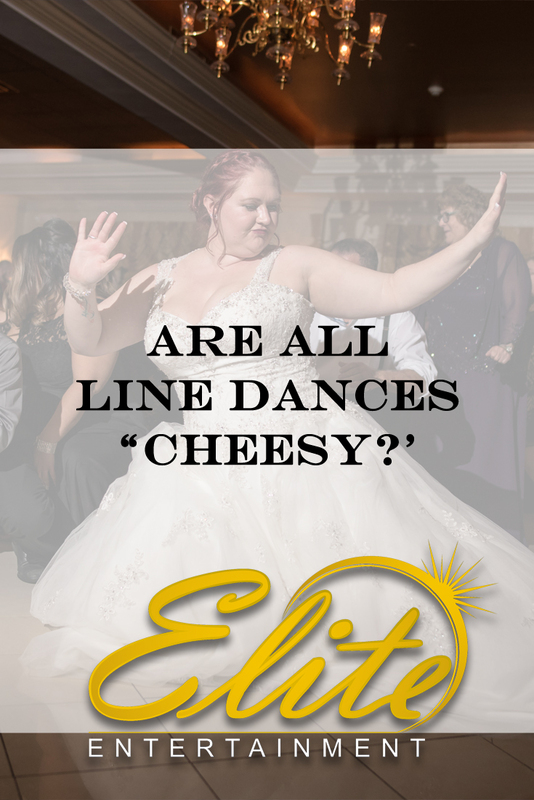 I’ve heard such words of wisdom as “cheese is in the eye of the beholder” and “all DJs are assumed cheesy until proven otherwise.” And while there is truth to both of those statements I’ve never understood why line dances such as The Electric Slide or The Cupid Shuffle sometimes get labeled as cheesy. Maybe it’s because they tend to get overplayed and some couples are loathe to have any organized or group dances at their wedding (which is fine if that’s your preference) but just because one or two are played doesn’t automatically make that reception extra cheesy. First of all, “cheesy” has a lot to do with the MC at a wedding. Some DJs have no sincerity in their voices and they come across sounding very schlocky – like the typical “game show host.” So no matter what an MC like that says, it’s going to sound cheesy. That’s why hearing an MC speak on the microphone before you hire him is essential. You can do that by seeing video footage or going to a showcase. If the DJ you’re considering doesn’t offer either of these opportunities you should wonder why. without everyone in the room cringing. Sincerity is something we look for at Elite, by the way. It’s not a quality you can teach or train. You either have it or you don’t and I can tell you every Elite Entertainer has it in spades. We sincerely enjoy doing parties so we don’t have to put on a fake voice to sound happy. We just are happy. 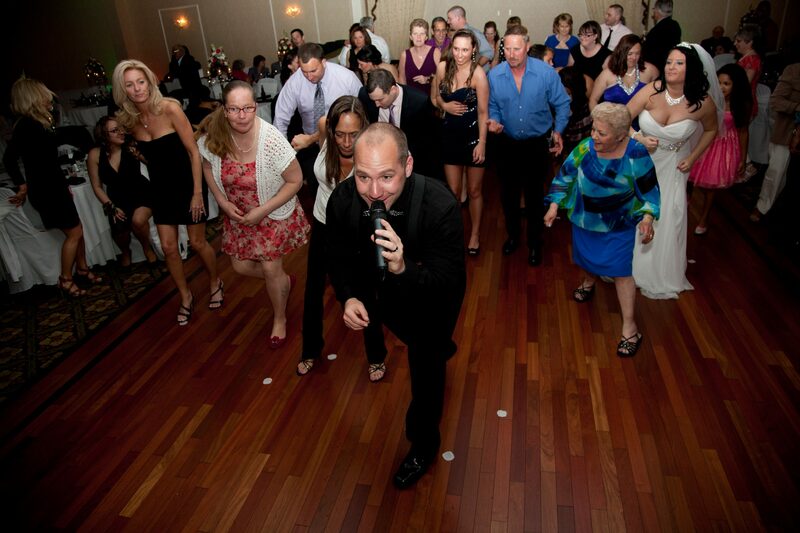 And here’s the thing about line dances: they can be a great way to kick start a party. 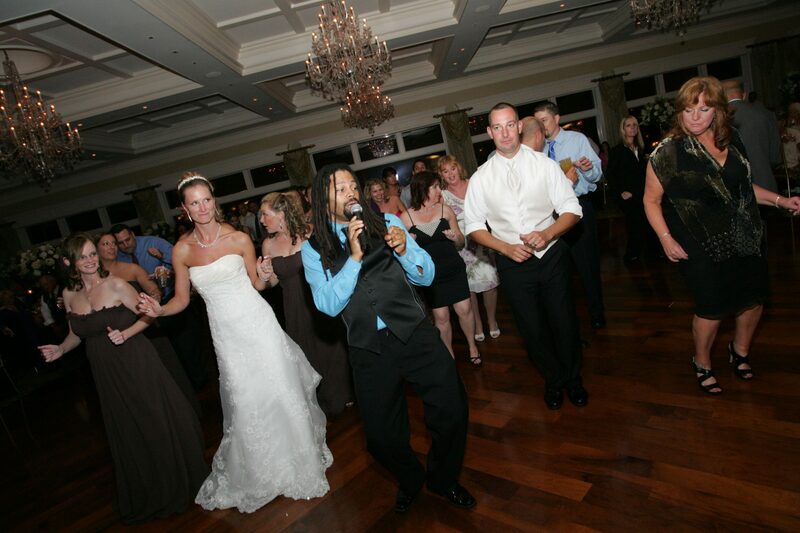 Some parties don’t need a kick start so for those events a line dance is superfluous. But for those that do, an organized dance, especially if it’s lead by an MC who can teach everyone to do the steps, can be a great way to “break the ice” and get everyone comfortable with dancing. I’ve seen many parties through the years that just needed that one thing to get everyone up and then they became great events. It’s sort of like pushing a rock downhill. One good shove and then it’s rolling freely. That’s what a line dance can do for some parties. Also, there are some people at every party who don’t have a dancing partner. 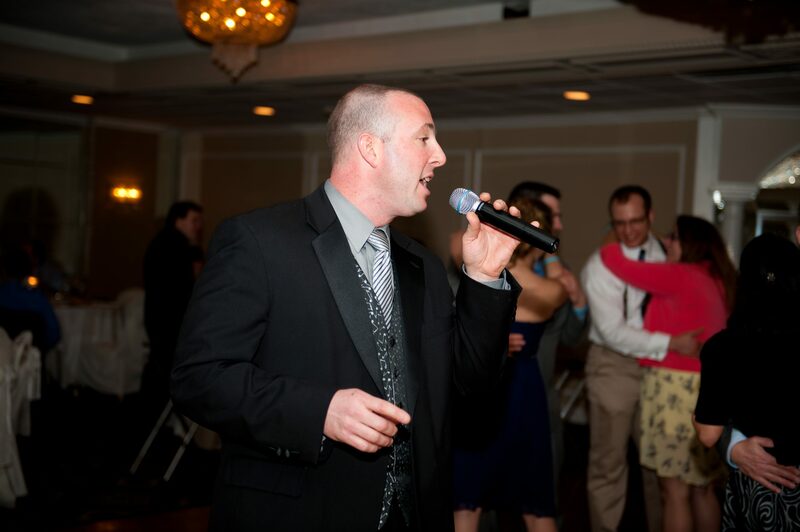 A line dance can be a great opportunity to allow that person to dance instead of sitting around all day. Ultimately the decision to play an organized line dance is completely up to you. It’s a question we will ask you in the planning process because we want your opinion about it. But just know that playing one or two doesn’t mean your reception will be thought of as cliché or cheesy. That has much more to do with your MC’s personality and vocal quality than the songs he plays. ← Should We Do A Cake Cutting and Bouquet and Garter Toss?